This book is available for download on your iPhone, iPad, or iPod touch with iBooks and on your computer with iTunes. Books must be read on an iOS device. 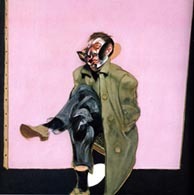 This digital publication, developed by Artfinder in partnership with The Estate of Francis Bacon, provides readers with an introductory glimpse into the world of Francis Bacon, one of Britain’s most prominent twentieth century artists. 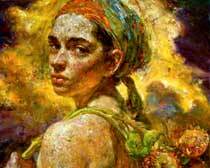 It features seventeen full colour high-resolution images of some of the artist’s most important paintings, specially selected by the Estate and spanning his career, to illustrate a variety of his most celebrated subjects. 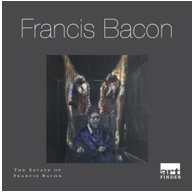 Additionally, photographs bring the artist’s legendary studio at 7 Reece Mews, London, to life, and are accompanied by video content that give a personal and deeper insight into the world of Francis Bacon.